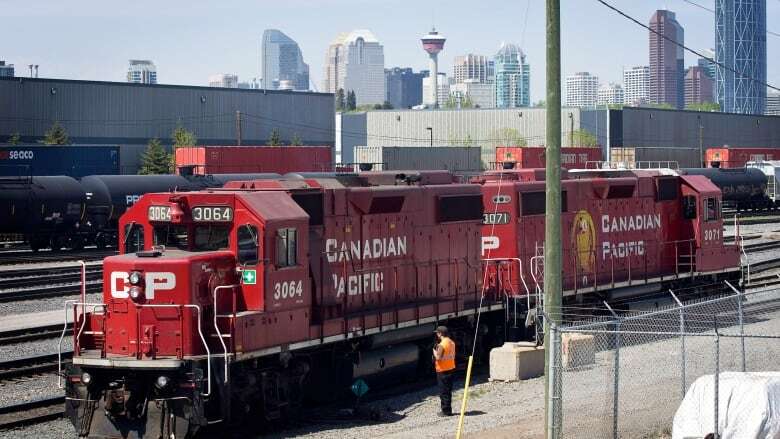 The Transportation Safety Board is investigating after a 1.5-kilometre-long freight train rolled away uncontrolled at the Canadian Pacific Railway’s main headquarters in southeast Calgary. The Transportation Safety Board is investigating after a 1.5-kilometre-long freight train rolled away uncontrolled Tuesday at the Canadian Pacific Railway's main headquarters in southeast Calgary. It happened at about 3 p.m. on Tuesday. No one was hurt, and the train remained on the track as it was brought under control after it rolled away. The TSB said most of the freight cars on the 9,500-tonne train were loaded, but none was carrying dangerous or explosive goods at the time. The safety of freight rail in Canadian communities re-emerged as a concern after a runaway train carrying crude oil smashed into downtown Lac-Mégantic, Que., killing 47 people and destroying half of the downtown core in 2013. Calgary inner-city freight tracks have had several derailment incidents over the years. In 2016, there was a derailment in Alyth yard that was dubbed a human error issue. At the time, Coun. Gian-Carlo Carra said he gets one or two calls a month from CP about trains coming off the track. There was another derailment in the same area back in 2013 as several cars carrying flammable liquids came off the tracks. The train was headed northbound out of the train yard. In the wake of the Lac-Mégantic disaster, the TSB made several recommendations for better safety practices, including that railways be required to install physical defences to prevent runaway equipment. Last June, a CN train with 72 rail cars and two locomotive engines rolled uncontrolled from the MacMillan Yard in Vaughan, Ont. The runaway train travelled at speeds of up to 50 km/h for five kilometres before it stopped under its own power. The incident prompted calls for Transport Canada to update training standards for employees in safety-critical positions. Incidents of runaway trains have increased by 10 per cent since 2013, according to a report released by the TSB earlier this year. Last year, 62 incidents of uncontrolled train movements were reported to the agency. An earlier version of this story incorrectly said the incident happened on Nov. 7. In fact, it occurred on Nov. 6.